Cumbria Health on Call, has been honoured in parliament as a part of a special, one-off competition to mark the NHS’s 70th birthday. 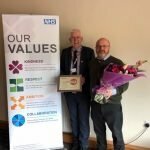 The NHS70 Parliamentary Awards, sponsored by IBM and Teva, were launched in February to recognise the massive contribution made by the individuals who work in and alongside the NHS. MPs in England were asked to nominate individuals and teams serving their constituents across ten categories. 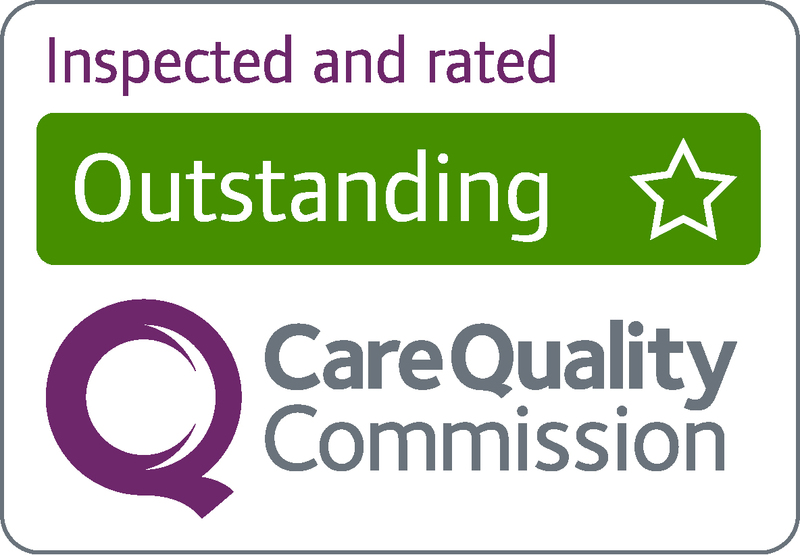 Regional champions were selected in May, with the national winners chosen by a panel of senior leaders representing staff and patients. There were four regions and one champion selected per award, per region. Having been nominated by Tim Farron, John Stevenson, Trudy Harrison, Rory Stewart and Sue Hayman, MPs across Cumbria, in the Excellence in Primary Care category for providing outstanding primary care across Cumbria, Cumbria Health on Call was named Regional Champion in May, and then took home the national award at a ceremony in Parliament on Wednesday 4th July. Susan Blakemore, Chief Executive and Hannah Mason, Executive Director of Operations, collected the Award on Wednesday 4th July on behalf of the organisation. 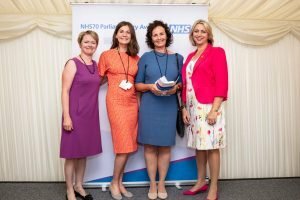 CHoC were among the ten winners – selected from more than 750 nominations submitted by over 250 MPs – to receive their awards at a ceremony on the Palace of Westminster’s Terrace Pavilion, hosted by Dr Sara Kayat, NHS GP & TV Doctor. Health Select Committee Chair Dr Sarah Wollaston MP, Health Secretary Jeremy Hunt MP, and the panel of judges collectively representing millions of NHS staff and patients were also on hand to pay tribute to the winners and all those shortlisted. Wider celebrations to mark the NHS’s big birthday will include thousands of NHS Big 7Tea parties to raise money for NHS charities, whilst dozens of landmark buildings will light up blue, including York Minster, the Blackpool Tower, the Gateshead Millennium Bridge, the London Eye and Queen Elizabeth Olympic Park. The BT Tower will also run a special birthday message on its iconic infoband.